Bookings for all rooms at the Hanham Community Centre or Sports Ground must (only) be made through the centre office on 0117 9674439. We do not use any 3rd party booking agencies or websites for direct bookings. Hanham Community Centre has a wide range of facilities and rooms to meet a wide range of needs - from the large Suites suitable for larger parties, conferences, presentations and public meetings; down to the smallest of rooms suitable for 10-12 people to have a meeting. All the rooms are clean, bright and welcoming, and we do our best to arrange the rooms to meet your needs. In addition, to the basic room, some rooms have additional facilities available. Once you have decided which room you might like to hire, then see the Booking details on how to book the room and organise deposits etc. You can also talk to Sheena our administrator to arrange a visit to look at the rooms and discuss your needs. If you are looking to start a new (non-profit) activity we can offer special 'start-up' rates. 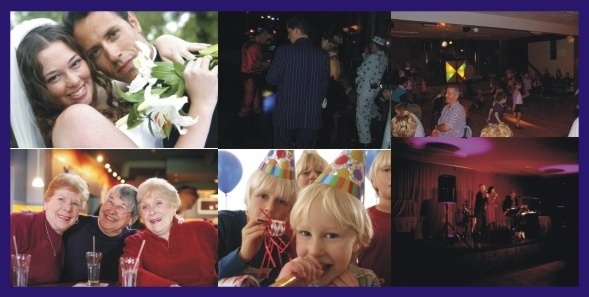 All this information is in our Function and Room Hire Brochure. This pdf should be printed (double-sided) and assembled as a book - reading it "on screen" can be confusing, follow the page numbers. There is also a (shorter) Function Suite leaflet - which is easy to read online!! The Elbrow Suite is our largest function room and is always in demand - with a high ceiling it is bright and spacious and is ideal for a wide range of functions and activities. Facilities: This function room has a sprung dance floor approx 10m x 20m, and has a fully working stage with 15 hemp lines, three sets of curtains, three sets of legs (for masking), a full lighting grid with 100 circuits and 36 channels of DMX dimming (See Stage Information). The Elbrow Suite also has its own bar and bar seating area to the side - offering a 'quieter' place to sit. Usage: The suite can accommodate 200 people (*) for most functions such as weddings and parties. We would recommend a limit of 192 for theatrical performances, and for some other functions a lower limit may be advised. The suite is popular for a range of activities beyond parties, including - table top sales, pamper evenings, boxing matches, barn dances, public meetings and conferences. The Suite is close to our main kitchen. Friday Eve typically £100, Saturday Eve typically £150 (Contact the office for more details). All Day £200 (pm & eve). Prices depend on type of function and number of guests. Please note these tables and chairs were hired by the event organiser. Our second function room is about 2/3 the size of the Elbrow Suite, and has a lower ceiling and smaller stage area making it a more intimate venue. Facilities:This function room has a sprung dance floor approx 10m x 10m and has a small raised stage area across one side (10m x 2.5m) and some basic stage lighting. The Wessex Suite has its own bar area with a small seating area; it also has an area for setting out food (4m x m) away from the dance floor. As this is located adjacent to our field, there is also the possibility of utilising marquees in the summer. The Suite is close to our second Kitchen, and also has a large fridge to maintain buffet food prior to a function. Usage:The suite can accommodate 120 people (*) for most functions, and is typically used for wedding receptions (daytime and evening), kids parties as well as smaller concerts and meetings. Friday Eve typically £70, Saturday Eve typically £105 (Contact the office for more details). All Day £140 (pm & eve). Prices depend on type of function and number of guests. The Lounge bar is normally used by our members, but offers a more comfortable and homely venue for some smaller functions - it is a popular venue for funeral receptions. Facilities: As well has having access to the main bar, the Lounge is fully carpeted and has tables and comfy chairs/benching throughout. It is air-conditioned and has a large screen TV which can be connected to a PC for presentations. Usage: The Lounge Bar can comfortably cater for 80 people (*) seated on comfortable padded chairs. It is typically used for funeral receptions, christening receptions and 'naming ceremonies' - it can also be used for training seminars. The Lounge Bar can be connected to either of the function suites for some types of functions. Availability: The Lounge Bar is available for hire most weekdays and Saturday daytime. 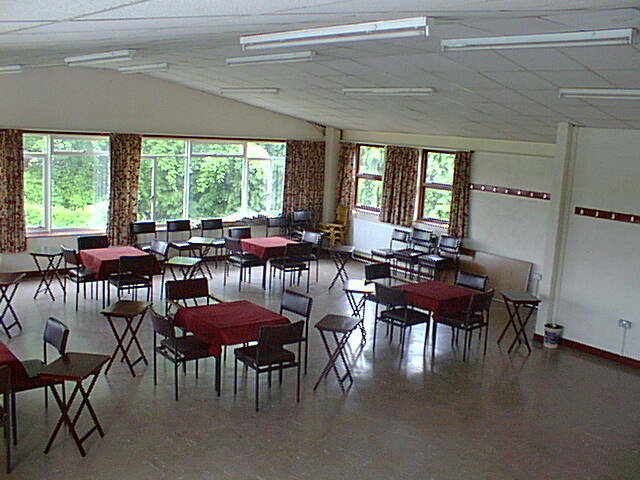 The Whittuck Room is a large room (13m x 5m) with ample daylight and artifical lighting. It is mainly used for small exercise classes and meetings or presentations. 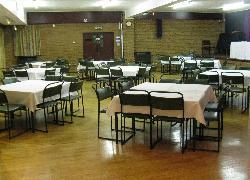 This room is often available during the daytime and would be an ideal venue for a conference or meeting, or a small club - it is also popular for children's parties. The room will hold 50 people (*). The Whittuck Room has a hearing loop installed and being on the ground floor has easy disabled access. The Avon Room is a large square room (12m x 8.5m) located on the first floor of the building (which does not have disabled access). It has windows on three sides and faces south, so it is a particularly light and spacious room with a fairly high ceiling. During the daytime it is a quiet room and would be suitable for yoga, meditation as well as meetings and art clubs. The Avon Room would accommodate 50+ people (*). 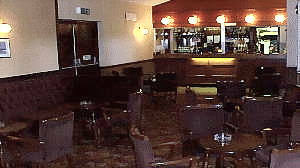 As it is situated over the Wessex Suite function room, it can be noisy on a Friday and Saturday evening. The Gloucester Room is a large activity room (10m x 6m) located on the first floor of the building (which does not have disabled access). It has a wooden floor and is light and cheerfully decorated. It is located adjacent the the boiler flue, and as such it very cosy in winter. 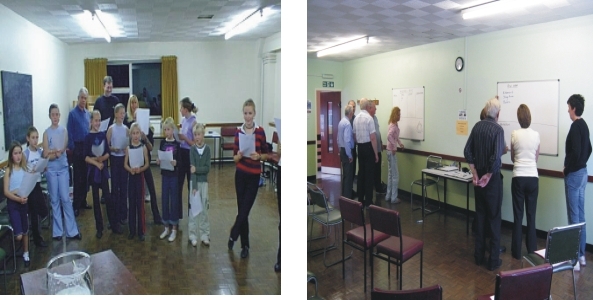 The room is 10m x 4m and is popular for a range of meetings and activites, such as drama reheasals, keepfit and meetings. The room would accommodate 40 people (*). The Gloucester Room has a piano. 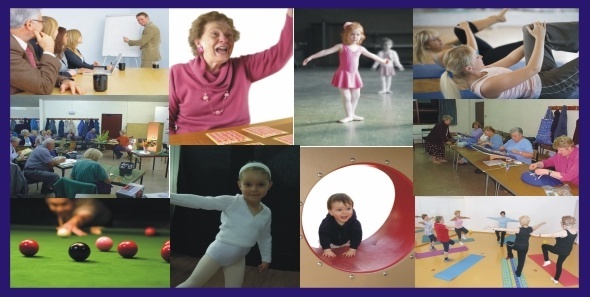 The Somerset Room is a medium sized activity room (10m x 6m) located on the first floor of the building (which does not have disabled access). It is currently being decorated. It is generally used for non-physical activities such as lace making and chess. The room can accommodate 40 people (*). 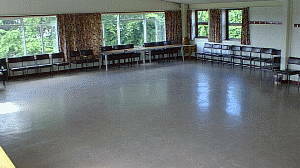 The Ridgeway Room is a large activity room (8m x 6m) located in the Annex. It can be accessed directly (or at times through the building). As it is partly self-contained it can be used when the centre is closed (though there are no toilets in the Annex). The Ridgeway is popular for meetings (parish council), keep fit and children's dance classes. The room would accomodate 30 people (*). The Ridgeway room has a hearing loop system installed. The Wesley Room (6m x 6m) is located on the ground floor. It is a small room suitable for meetings or 1-to-1 activities such as massage. It would accommodate 15 people (*) for a meeting. 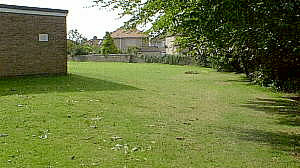 The playing field at the rear of the building and adjacent to the car park offers an excellent space for fetes or parties. It can be used alone, but is normally an addition to the hire of the Wessex suite. It is quite a large area and could easily accommodate 499 people (*) (possibly more) for a fete. As this is close to our neighbours, we need to ensure the noise level (particularly in the evening) is controlled. The Cofffee Lounge has recently been refurbishment. It is 5m x 8m and is located near the entrance. It is used for coffee mornings, but can also be used for small meetings and parties - and has been used for art and photography exhibitions. It could accommodate 30 people (*) seated at tables, or 40+ for a presentation. It is adjacent to the main corridor, and seperated by open partitions. 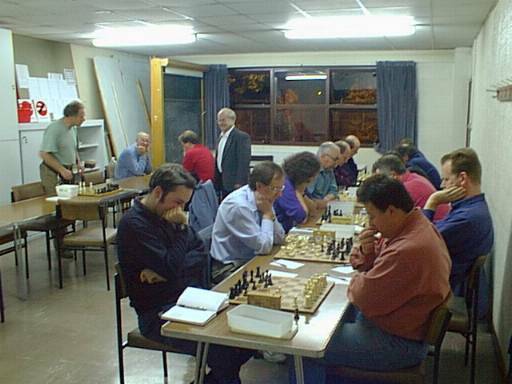 Games Room: The Games Room is a small room, 6m x 6m located in the Annex - it can (by arrangement) be used when the centre is closed. It is used as a 'waiting' area for some activities in the Ridgeway room.It could accommodate 20 people (*). Kitchens: We have two Kitchens. The main Kitchen (4.5m x 4.5m) (adjacent to the entrance) is used for the Elbrow Suite and Coffee Lounge. It can be hired to cater for functions. Our smaller Kitchen is located near the Wessex Suite and Lounge Bar and is also available to cater functions. Dimensions are approximate, and indicative of the room size only. The figures for the number of people a room can accommodate are given as a guide, based on normal usage for that room. As an example, for the Elbrow Suite we state 200 people. The actual limit is 240, but this would be without any chairs or tables. For most functions a 200 limit is about right, but depends on the layout of tables and dance floor etc. For a sit down meal, we would recommend a limit around 100 people. While for a theatrical performance (where the bar seating should not be used) a limit of 178 is suggested, especially if space is needed for sound and lighting control. We would strongly suggest that you visit and view a room before committing to a booking - especially if you plan something with a seated meal or larger tables, or a large dance area. The dimensions given for each room should also help work out table layouts, but again we advise discussing these with the centre, as we need to keep certain exits and gangeways clear. We cannot be held responsible for bookings made based on the guide figures if Hirers have not visited the centre and planned (and agreed) their room layout before confirming a booking.